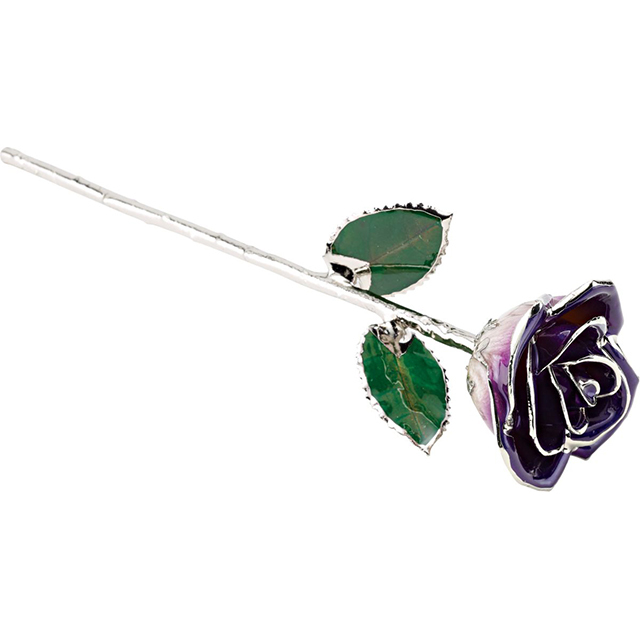 Real semi-opened rose petals dipped in lacquer and trimmed in Platinum. Stems are approximately 12in long. Each rose is elegantly wrapped in gold tissue and packaged in a gold, two-piece outer box. Color may vary. Real semi-opened rose petals dipped in lacquer and trimmed in 24k gold. Stems are approximately 12in long and are gold plated. Each rose is elegantly wrapped in gold tissue and packaged in a gold, two-piece outer box. Color may vary. Real semi-opened rosebud plated with 24k gold. Approximately 12in long. Each rose is elegantly wrapped in gold tissue and packaged in a gold, two-piece, presentation box.